As a surge of after-flood waters from the recent deluge in South Carolina comes down the mountains and moves out to sea, LCMS Disaster Response is helping the LCMS Southeastern District conduct essential damage assessments. 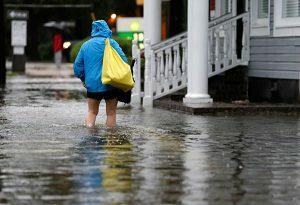 Ongoing assessments are revealing more flood damage in the aftermath of torrential rainstorms than initial reports indicated for South Carolina and other affected areas. Even more damage likely will be identified, once currently inaccessible areas become accessible. Flooding from the recent storms led to road closures, power and communications outages and various other hazardous conditions that have hampered damage-assessment efforts. read more on the Lutheran Church’s response in the Southeast. Leipzig Letter for November: From Christopher and Elizabeth AhlmanGerman Concert Organist Thiemo Janssen at FLC, Wednesday, Oct. 21, 8 p.m.